The Indian Navy (IN) is well aware of the need for battlespace awareness/maritime domain awareness (MDA) and the crucial role played by intelligence, surveillance and reconnaissance (ISR) assets in generating actionable intelligence. Airborne C4ISR capabilities will undergo a quantum jump shortly once the P-8I, dedicated satellites, and other network centric infrastructure become fully operational. Though its mission system is downgraded from the U.S. Navy P-8A – being an upgraded version of the P-3 Orion mission system – the P-8I brings hitherto unparalleled capabilities to play. Notably, the P-8I has a powerful onboard computing capability that delivers much improved situational awareness (from data fusion) and a cooperative engagement capability. In addition, time on station and aircraft serviceability – hence operational availability – not to mention crew creature comforts, should be greatly improved over the Russian MPA. 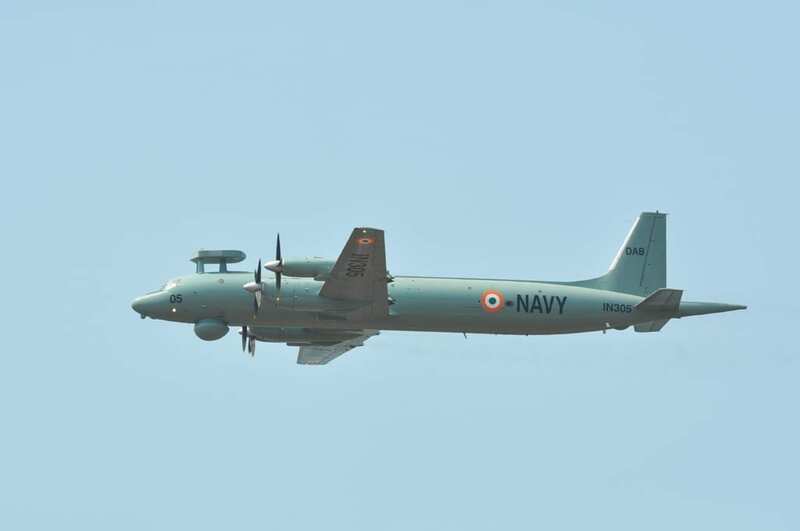 From a humble beginning with converted ex-Indian Air Force (IAF) Lockheed Super Constellation aircraft, ISR capabilities have made great strides with the induction of upgraded maritime patrol aircraft (MPA) since the mid-nineties. For instance, the Leninets Sea Dragon equipped IL-38SD MPA operated by INAS 315 “White Stallions” is a multirole platform – one capable of performing ELINT, over the horizon targeting (OTHT), detection of low flying airborne targets, anti-submarine warfare, and anti-surface warfare with Kh-35 anti-ship missiles, as well as search and rescue (SAR) missions. Similarly, the eight Tupolev Tu-142MKE in service with INAS 312 ”Albatross” have all received Elta’s 2022 radar and indigenous ESM suites in place of Russian equipment. 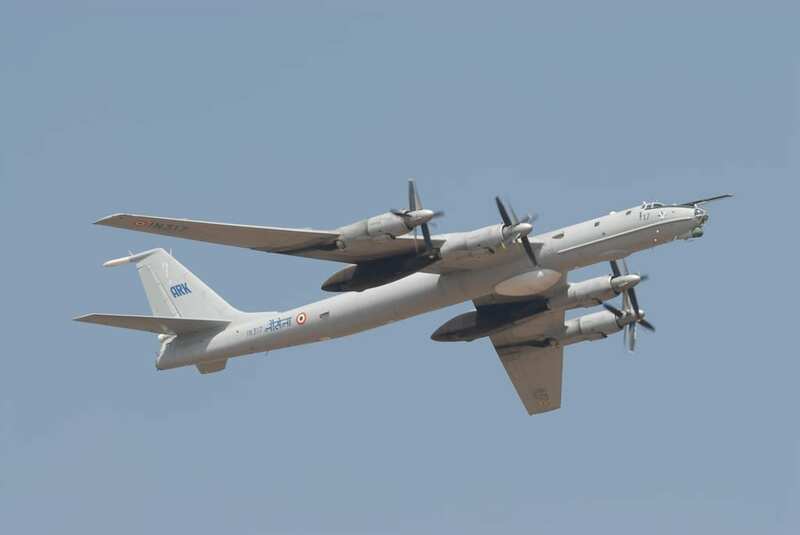 Contrary to several reports, the Tu-142 will be operated alongside the P-8I by INAS 312 for several more years – possibly until 2020. In fact, the type may yet receive another upgrade. 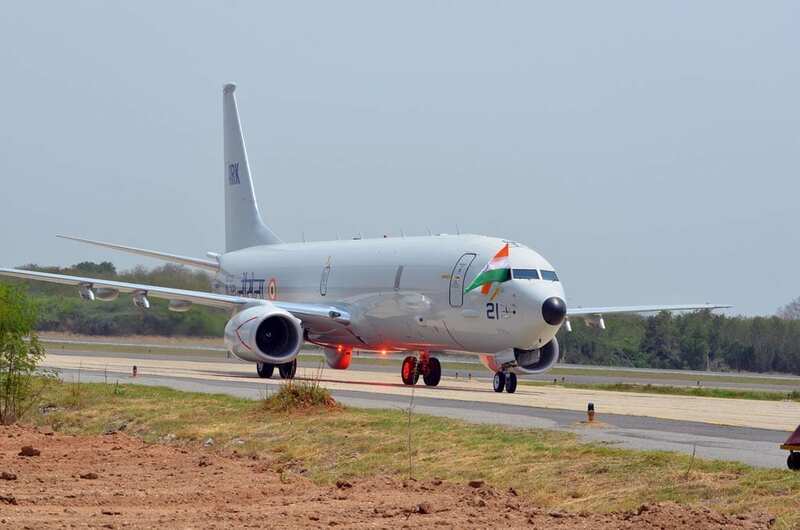 But what really excites the Indian MPA community is the integration of the Boeing P-8I and exploiting the platform’s capabilities. “We are looking forward to this potent platform joining the Indian Navy as part of its fleet,” remarked Assistant Chief of Naval Staff (Air) Rear Adm. D.M. Sudan during the type’s first flight in Seattle last year. Unlike the U.S. Navy P-8A, the P-8I has two radar sets – a forward mounted Raytheon AN/APY-10 and an aft-mounted Telephonics APS-143C(V)3 – for 360 degree coverage, a Canadian-built AN/ASQ-508A magnetic anomaly detector, and a number of Indian-developed communications, SATCOM and Link II tactical datalinks. It is to be armed with AGM-84L Harpoon Block II missiles, Mk. 54 lightweight torpedoes, and Mk. 82 bombs. Though not yet selected, Raytheon’s Fishhawk aerial torpedo delivery system is also a possibility. 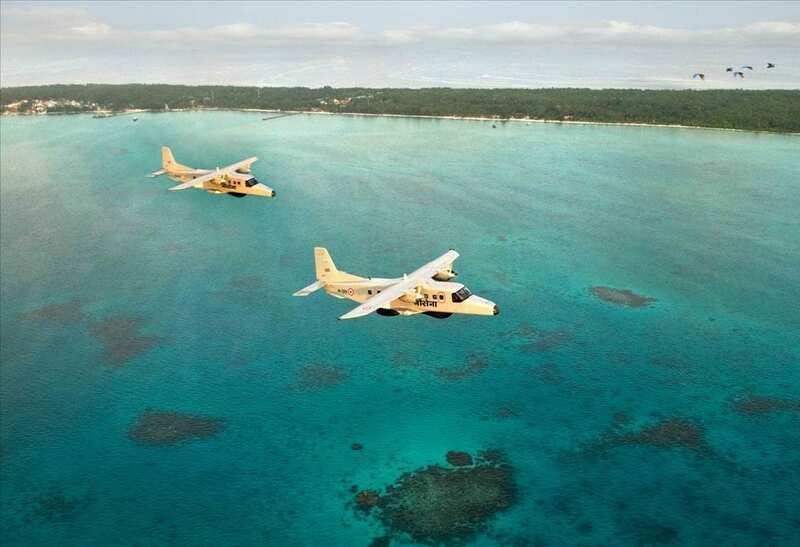 These large MPA are complemented by 26 -30 Dornier Do 228-201s – almost all locally built by Hindustan Aeronautics Ltd. (HAL) – and five or so Britten-Norman BN-2T Islanders which are to be phased out in due course. Dorniers are flown by INAS 310 “Cobras,” INAS 311 “Kites,” and INAS 318 “Hawks,” while INAS 550 “Flying Fish” – the training unit for pilots and mission system operators, called observers – operates both Dorniers and BN-2T. INAS 550 is the oldest squadron of the IN – starting out as the Fleet Requirement Unit (FRU) in May 1953 until re-commissioning as INAS 550 in June 1959. Fitted with a variety of sensors, the Dorniers are heaviliy utilized not only as ISR platforms but also for paradropping, transport, utility, and training. A typical ISR sensor package comprises Elta’s EL/M 2022 V3 multimode radar, a retractable Elop CoMPASS electro-optical (EO) pod, ESM suite, tactical datalinks, Trigun AIS and SATCOM. 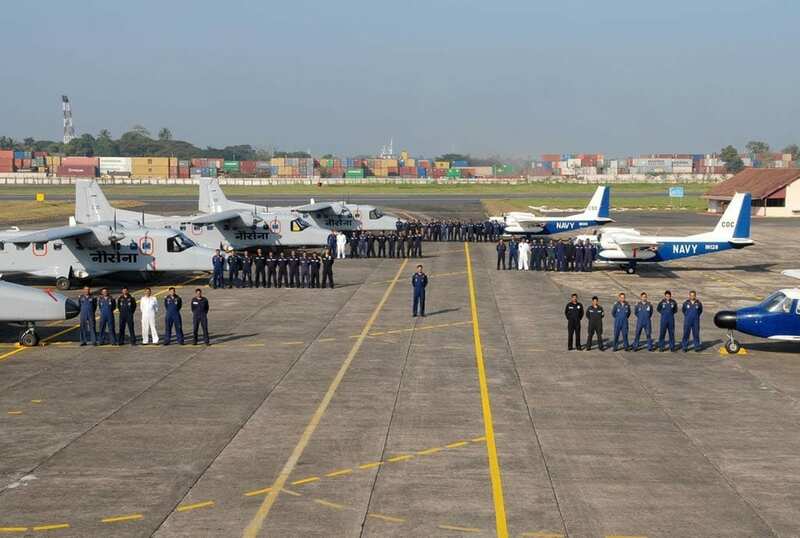 Dorniers of INAS 310 were pioneers in joint operations with the Indian Air Force and the Indian Army, often performing hazardous overland ELINT missions along India’s borders in addition to performing more traditional maritime patrol roles in support of anti-piracy efforts. For the last several years, the IN has successfully employed Unmanned Aerial Vehicles (UAV) at sea, controlling them from warships at extended ranges for augmenting coastal security and combat operations. At least 14 UAV of Israeli origin – 6 Herons and 8 Searcher Mk. 2 – serve in 3 squadrons: INAS 342, 343 and 344. Additional UAVs – thought to be 8 or so Herons – are on order and many more are also planned. After a delay of two years, the IN is finally moving forward with plans for basing a fourth UAV squadron at Behala airfield in Kolkata. This will fill a gap in surveillance capabilities in the Ganges Delta region. The IN has also developed the “wherewithal to integrate satellite surveillance effectively into its operations,” according to Verma. While the IN utilizes satellites like OceanSAT and RISAT, the first dedicated naval satellite, the GSAT-7, a 2,300 kilogram multiband communications satellite carrying UHF, S-band, C-band and Ku-band payloads is to be launched shortly using a French Ariane launch vehicle.